Historic moments in Cyprus with the opening of two checkpoints after more than half a century. Officials from both sides, opened two new border crossings Monday for the first time in eight years, the latest push for peace by the two sides after UN-backed talks collapsed last year. 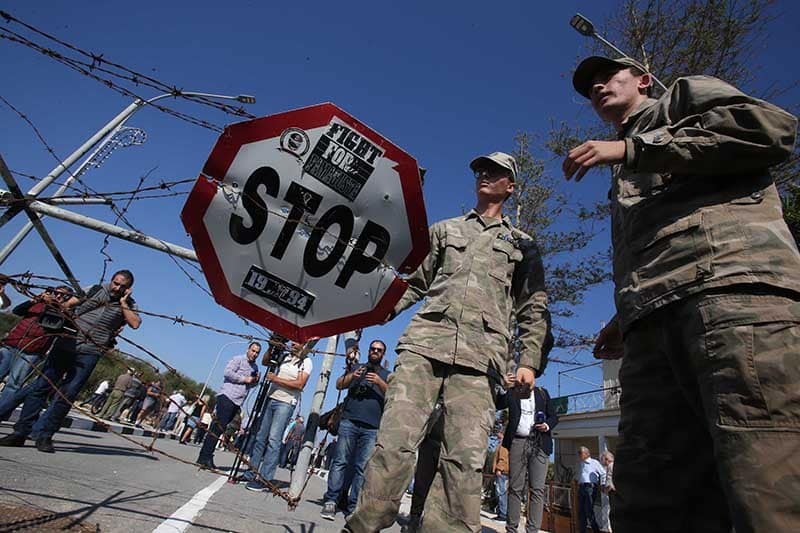 Dozens of Greek Cypriots streamed across the eastern Dherynia border post, walking past United Nations peacekeepers into the breakaway Turkish-backed north. At the same time, the Lefka-Apliki crossing opened in the northwest of the eastern Mediterranean island. Ahead of the Dherynia crossing reopening, soldiers removed barriers wrapped in rusty barbed wire and a small group of riot police stood by. 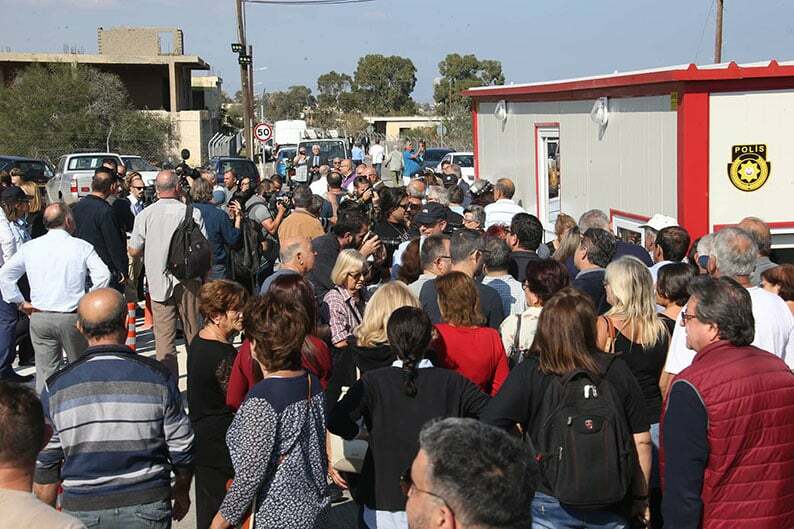 More than three years after the Cypriot leaders agreed to open the checkpoints at Dherynia on the east coast and Lefka-Aplikli some 50km from the capital, hundreds of people from both sides queued up early on Monday to finally make the long-awaited crossing. For majority of people, opening the crossing was another step towards peace and reconciliation. For others such a move was politically unacceptable. 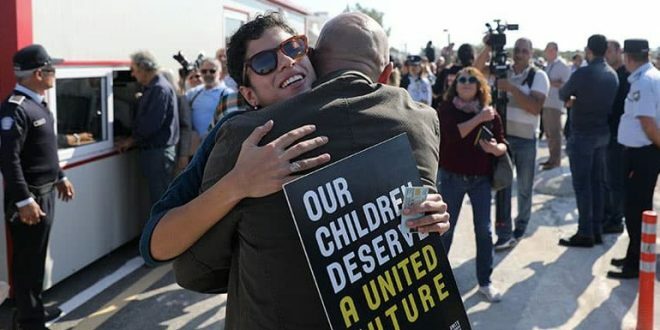 For the father of Solomos Solomou, who was shot dead close to the Dherynia crossing during a demonstration in August 1996, it was like killing his son all over again,, he told reporters as he stood on the road bearing a photo of his son. 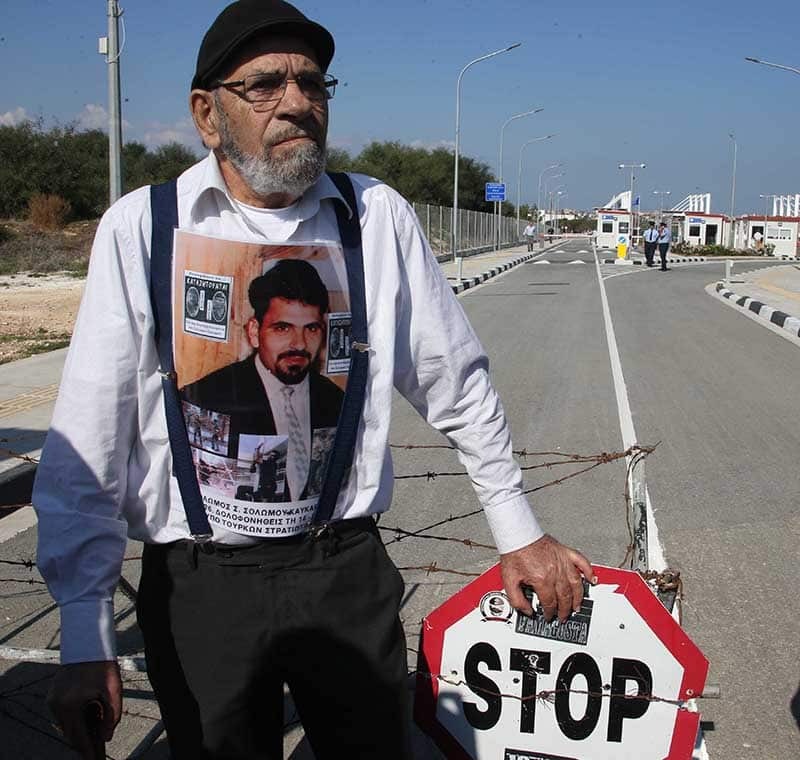 26-year-old Solomos Solomou was a Greek-Cypriot refugee who was shot and killed by a Turkish officer while trying to climb a flagpole in order to remove a Turkish flag from its mast in Cyprus’ United Nations Buffer Zone. 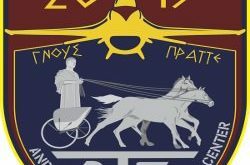 The killing occurred in the aftermath of the funeral of Solomou’s cousin Tassos Isaac, who had been beaten to death a few days earlier by Turkish nationalists “Grey Wolves also at the Dherynia crossing. There have also been grumblings from some local businesses concerned that more locals and tourists would shop in the north and take away their custom, especially since the fall in the Turkish lira. 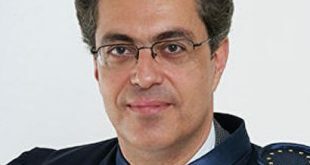 Also, in opposition, the Solidarity party said on Monday, the day marked another nail in the coffin of the long-standing struggles of Cypriot Hellenism for the return of Famagusta, while ruling DISY said such confidence-building measures were necessary to create a climate of trust and co-operation between the two communities. 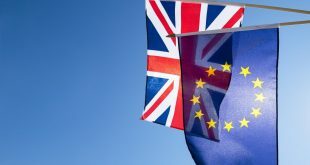 “The opening of crossings is one of the most tangible confidence-building measures that help this effort,” the party said. Opening of the crossings on Monday was also greeted by the occupied North, with Turkish Cypriot ‘foreign minister’ Kudret Ozersay posting on social media that the opening of the two crossings despite the delays was a positive development, not only in terms of economic mobility but also for increased dialogue. “After our government came into power, we supported as we had promised the opening of the crossing points and to make the arrangements,” he said. The development is also seen as a vital step to reviving peace negotiations, which collapsed in acrimony in July last year. 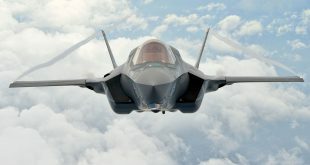 “It´s another asset to the peace talks,”Chris Charalambous told AFP. He was just 18 when war broke out in 1974. For the first time since fleeing the conflict Charalambous was looking forward to seeing his house, which he said lies in a Turkish Cypriot military zone. “I´m just going to walk down and then I walk back, I don´t know if I can stand spending time in the north,” he said.